Mounted police are police who patrol on horseback or camelback. They continue to serve in remote areas and in metropolitan areas where their day-to-day function may be picturesque or ceremonial, but they are also employed in crowd control because of their mobile mass and height advantage and increasingly in the UK for crime prevention and high visibility policing roles. 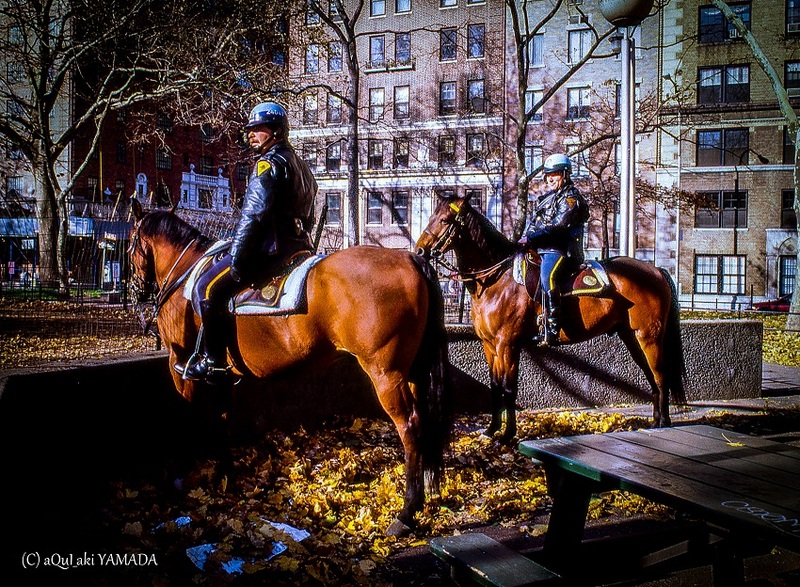 The added height and visibility that the horses give their riders allows officers to observe a wider area, but it also allows people in the wider area to see the officers, which helps deter crime and helps people find officers when they need them. Mounted police may be employed for specialized duties ranging from patrol of parks and wilderness areas, where police cars would be impractical or noisy, to riot duty, where the horse serves to intimidate those whom it is desired to disperse through its larger size, or may be sent in to detain trouble makers or offenders from the crowd. For example, in the UK, mounted police are most often seen at football matches, although they are also a common sight on the streets of many towns and cities as a visible police presence and crime deterrent during the day and night. Some mounted police units are trained in search and rescue due to the horse's ability to travel where vehicles cannot. ft. Erykah Badu "Everything's Beautiful"